A wide range of acids can be determined from totals to individual acids. L-Lactic acid, Oxalic Acid, Succinic Acid, L- Ascorbic Acid,D-Gluconic Acid, D-Isocitric Acid, Tartaric Acid, Full Acid profile,Total acids (pH 7) & Total acids (pH 8). 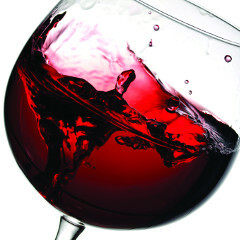 Analysis of sugars in grape juice and wines. From mono saccharides through to tri saccharides. Sugars include D-Fructose, D-Glucose, Sucrose (Total Glucose), D-Glucose + D-Fructose, D-Glucose + D-Fructose + Sucrose, Lactose, Monosaccaride profile, Disaccaride profile, Trisaccaride profiles, etc. Calcium, Sodium ,Copper, Cadmium, Total Iron, Lead, Magnesium, Potassium, Aluminium, Arsenic, Antimony, Manganese, Boron, Zinc, Chromium, Iron, Selenium, Cobalt,Trace Metals profile, Heavy Metals Profile, Mercury. Alcohol Glycerol, Total Polyphenol, Ethanol Content, Alcohol profile (distilled). Micro testing at Leeder Analytical using qPCR can be used for the analysis of Brettanomyces bruxellensis and lactobacillus levels in fermentation products. Brettanomyces bruxellensis is a commonly occurring organism in the brewing and wine industries that can alter the taste and aroma of finished product. Acetaldehyde, formaldehyde, propanal, butanal, octenal, nonenal, furfural, pentanal, butanone, propanone, butanedione, pentanedione, acetone, MEK, MIBK & Hydroxymethyl – Furfural. Aldehydes & Ketones, Acetaldehyde, Colour, pH,Brix, Ammonia, Alpha-amino nitrogen (NOPA), Yeast Assimable Nitrogen (YAN), Nitrate, Nitrite, Fluoride, Bromide, Iodide, SO2 Free, SO2 Total, Chloride, Sulphate, Phosphate, Hydrogen Peroxide, Nitrosamines and Peroxyacetic Acid. 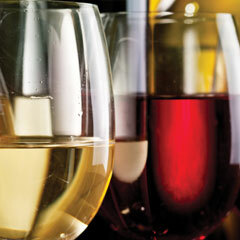 For more information about our wine testing kits click here! 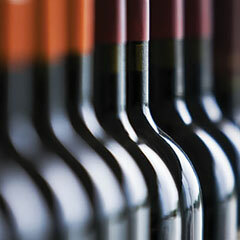 Click here to download a PDF version of our Wine Chain of Custody form.